A lucky player has won the Age of the Gods Progressive Jackpot playing Live Roulette at Casino.com. Playtech issued a Press Release today, October 19th 2017, announcing that a Factory worker had won £599,380.45 on its Age of the Gods Live Roulette. The father of three was playing Roulette on his mobile, when he unlocked the randomly triggered Ultimate Power Jackpot. 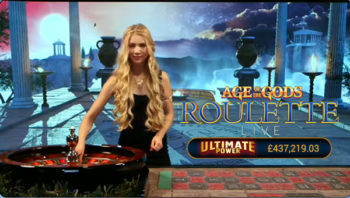 This is the highest tier in the four-tier mystery jackpot, that links both the Live Roulette product and all Playtech’s Age of the Gods slot games, providing players with the opportunity to win even bigger and more often than ever before. 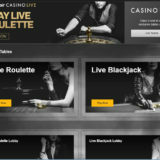 “We continue to drive innovation and our new Age of the Gods Live roulette product is testament to that with the product becoming an instant success. 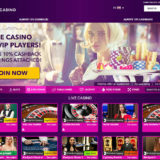 We’re thrilled to see such a big win and we will undoubtedly see even more in the days, weeks, and months to come due to the unique and industry-leading Omni-channel Playtech ONE progressive jackpot network we have across both Live and Casino,” he added. 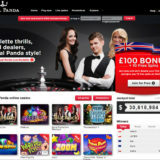 “Here at Casino.com we love making dreams come true – so seeing one our players hit such a huge jackpot is incredible! We strive to constantly be innovative and take a conscious decision to deliver a mobile-first approach, so we are delighted to see a record-breaking win on mobile. I’m surprised that the jackpot was hit so quickly, normally these things have a habit of building up. 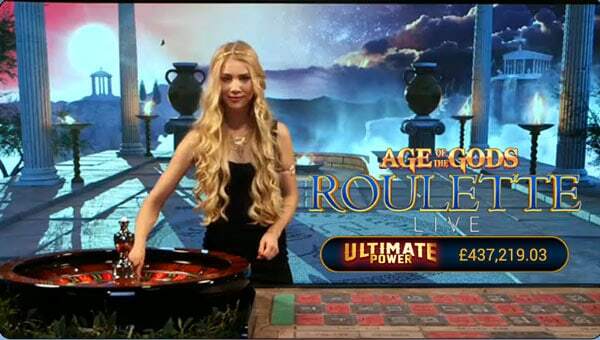 The Live Roulette Age of the Gods went live in September 2017, so it’s just over a month.